To upload files larger than 8 MB, please click here to open a new window with our large file uploader. From the very beginning, plastic injection molds are designed with an emphasis on efficiency and functionality, leading to time savings in production, longer-lasting tools, and fewer modifications after production. Our reputation for high quality stems from our experienced design staff. 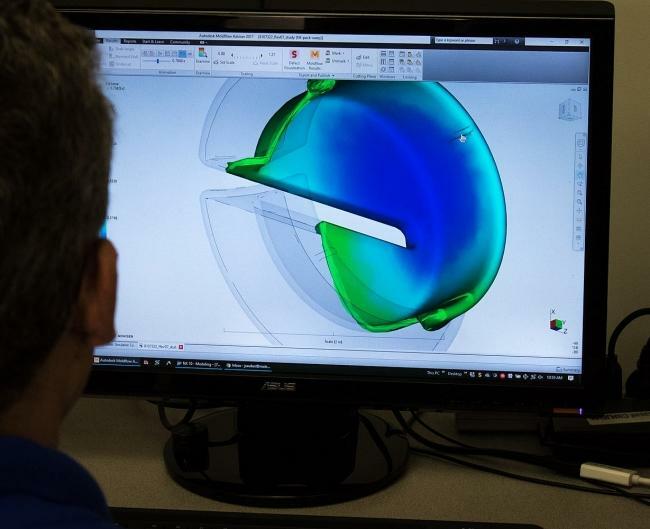 The foundation is set by our design engineers who average nearly 30 years of experience designing plastic injection molds for a wide variety of challenging parts. 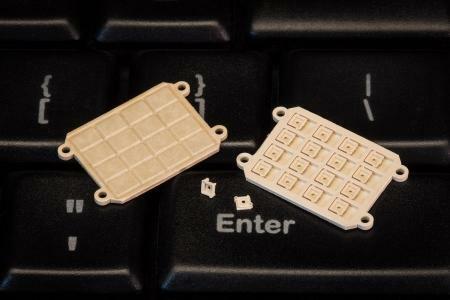 Every one of our molds is designed in 3D solids, creating a complete digital representation for manufacturing. This ensures proper integration of all components. Using 3D modeling eliminates or reduces many of the traditional steps in the manufacturing process. Matrix Plastic Products also provides a variety of intermediate steps, taking customers from initial concept into production. Our extensive automation, integrated CAD/CAM network and creative approach allows us to meet tight deadlines by bridging the gap between R&D full production. The tools we build are designed to run in presses from 5 to 300 tons. Our investment in CNC technology and machining automation allows our experienced toolmakers to meet compressed lead times while maintaining our reputation for quality. 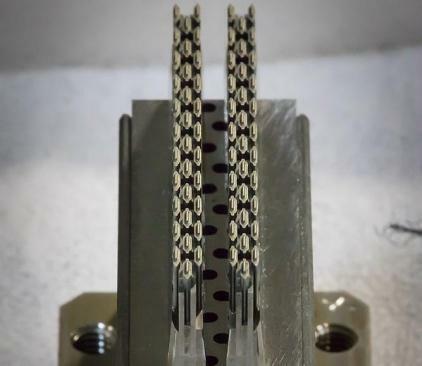 From single-cavity and development molds to multi-cavity and family molds, we are equipped and ready to meet your unique tooling challenges. Matrix Plastic Products does plastic injection molding for a variety of critical components for global leaders in the medical, electronic and personal care industries. 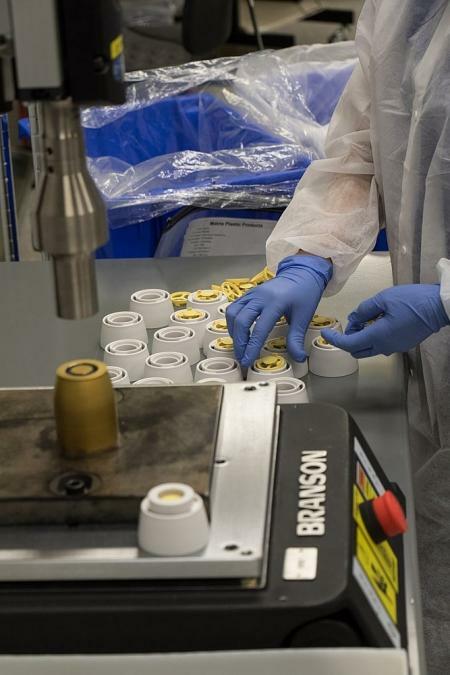 Our molding presses range in size from 5 tons up to 300 tons, and our broad processing experience encompasses a wide array of materials – from engineering grades and implantable bio-resins to commodity grade polymers. We're proud of the reputation we've earned by pushing the envelope to successfully meet our customers' most complex and challenging project requirements. Our class 100,000 (ISO 8) cleanroom provides the controlled environment required for molding and assembling of medical components. Our three-shift plastic injection molding operation directly benefits from our in-house tooling expertise. 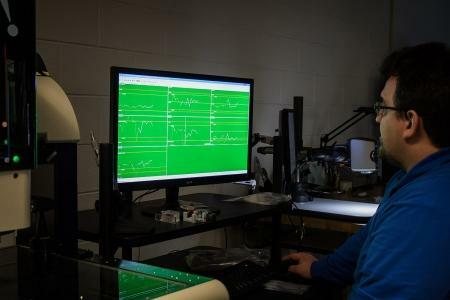 Our processing engineers and quality inspectors have a solid background in mold building which enables them to anticipate processing issues and effectively communicate with our molding production team to mitigate those risks. Matrix Plastic Products' Quality Assurance department provides customized inspection services to meet each customer's specific requirements. We have the capacity to measure both steel tool components and final plastic parts in depth. The quality of our work is closely monitored and maintained throughout the entire manufacturing and production process. All tools and molded parts are fully qualified by our Quality Assurance staff using state-of-the-art inspection equipment. Matrix Plastics Products is proud to offer complete manufacturing and production capabilities to our historically strong foundation of moldmaking, molding, and inspection. When you need a product or component manufactured with surgical precision, Matrix Plastic Products can do it. Sourcing a custom product isn't a decision to take lightly. It's an investment -- and you'll want to make sure that you're getting the best return for your money. OEMs and product designers have plenty of options when it comes to choosing suppliers. Whether local or overseas, one-man job shops or multinational corporations, there are enough choices to make your head spin. So ask yourself: "What's important for my particular project?" Click here to request more information any time. Click Here to learn more about employment opportunities with a future at Matrix Plastic Products. Copyright © 2018 Matrix Plastic Products, Inc., All rights reserved.